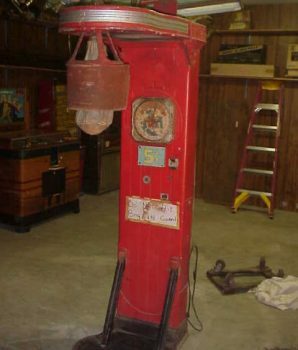 Early Original punching bag machine – “Deliver a Punch”. Oak case with original dial, leather punching bag and rear door. 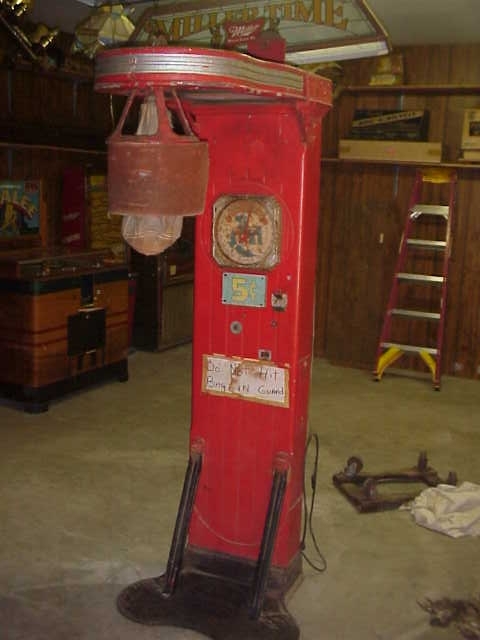 Nice original machine that needs some cleaning to be ready for the big event.